The best air fryer cinnamon rolls ever! I made these Ninja Foodi sticky buns using no yeast in just 20 minutes total and they were the best breakfast! 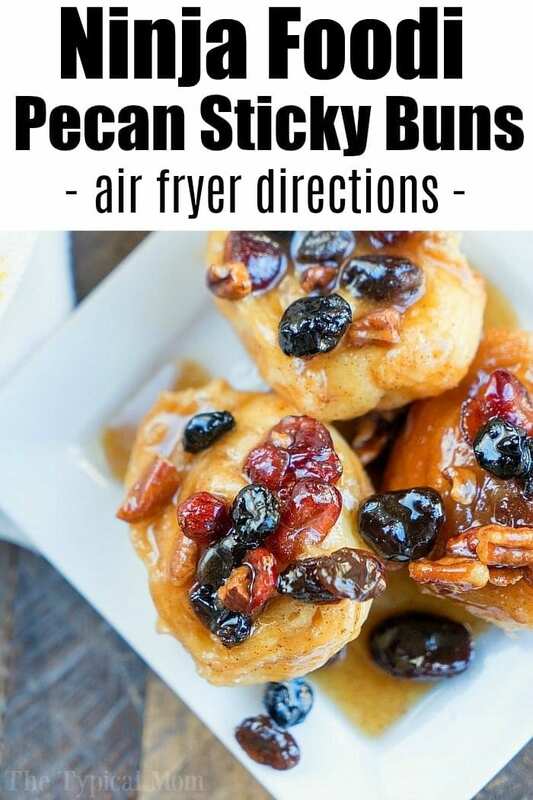 I will share how to make cinnamon rolls in an air fryer 2 different ways, but I will say the sticky buns are heaven on a plate! At the top they are done and incredible, below is in process right before I start the air fryer process. So you might be here because you’re asking can I bake cinnamon rolls in an air fryer? These are the semi-homemade no yeast sticky buns I talked about. You can make traditional refrigerated cinnamon rolls in your air fryer too, a close second if you want something really fast. The trick to making air fryer cinnamon rolls is to flip them halfway through the cooking process. If you’re wondering what is the best air fryer this is the one we have and would recommend because it’s a pressure cooker too. 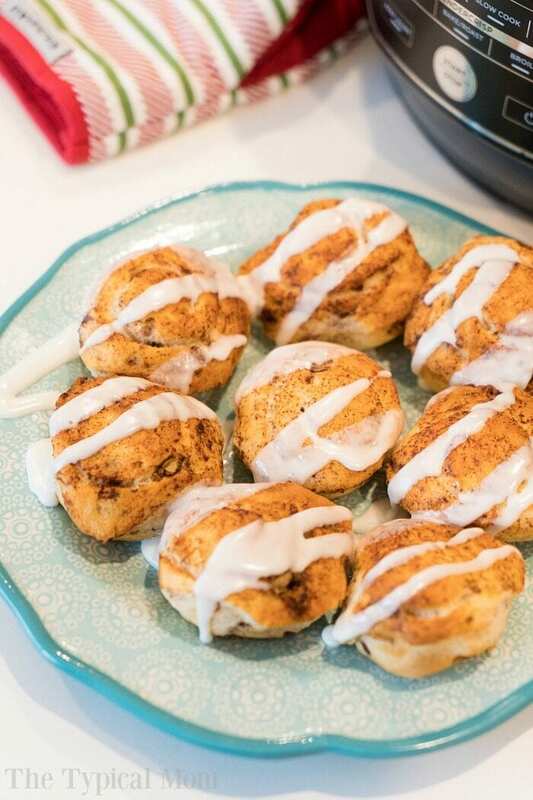 Can you double this air fryer cinnamon rolls recipe? This cinnamon roll breakfast casserole is fantastic too if you’re in need of other great brunch menu ideas. 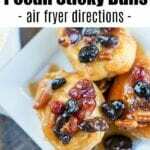 Oven recipe for pecan sticky buns is here and more easy air fryer recipes are below. 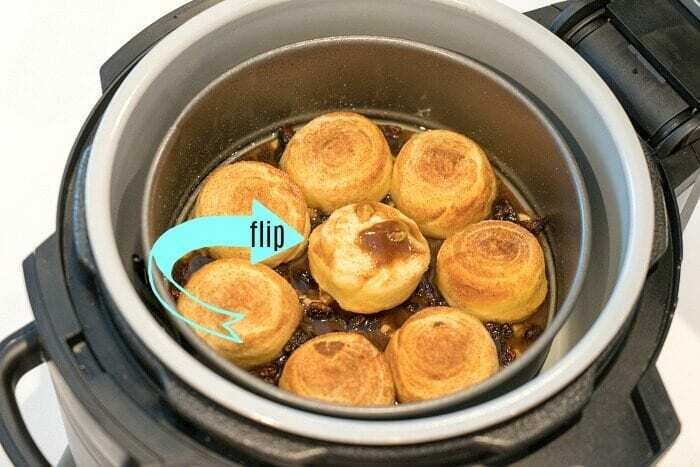 Pressure cooker donuts are so good and fun to make if you have a Ninja Foodi with an air fryer and pressure cooker function. Whisk together your melted butter, brown sugar and maple syrup. Put a trivet inside your air fryer/Ninja Foodi and an 8" springform (or other style) pan that's been sprayed with non stick spray on top. Pour your brown sugar mixture inside your pan. Sprinkle your nuts and raisins (can add dried cranberries too) on top. Open your package of refrigerated crescent rolls but DO NOT unroll the crescent roll roll as you normally would. Instead put it on a cutting board and cut it in half (use a non serrated knife so it doesn't smush down when slicing). Then cut those pieces in half again, and again until you get 8 equal pieces. Mix your cinnamon and sugar in a bowl and dip the bottom and top of each cut crescent roll piece in it. Then put each one in your pan on top of your brown sugar mixture. Close your air fryer lid (one attached on the Ninja Foodi) and set to air crisp, 345 degrees, for 5 minutes. Open lid and flip each crescent roll piece upside down. Turn air fryer on again, press air crisp, 345 degrees for 4 more minutes (5 if you want them crispier on top). 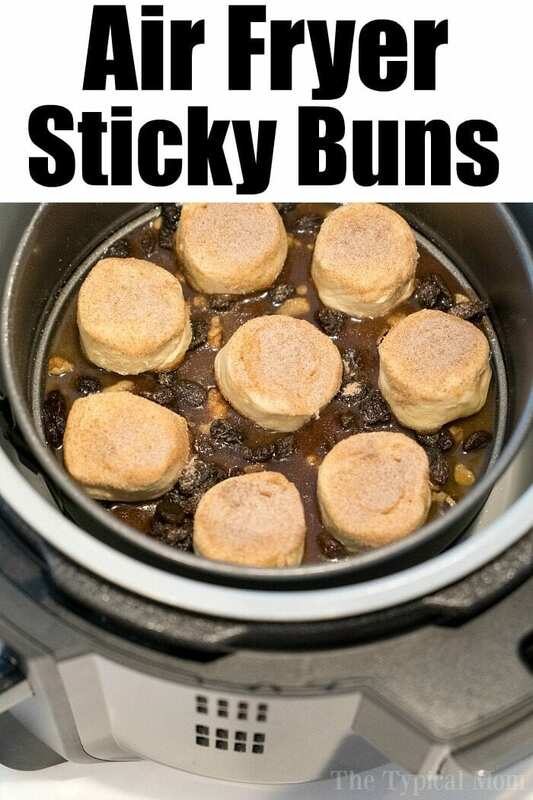 Immediately remove pan, place cooked sticky buns on a plate and spoon mixture at the bottom of the pan on top of your rolls. Enjoy!! That was the first dessert I tried in my air fryer ! So good and easy ! 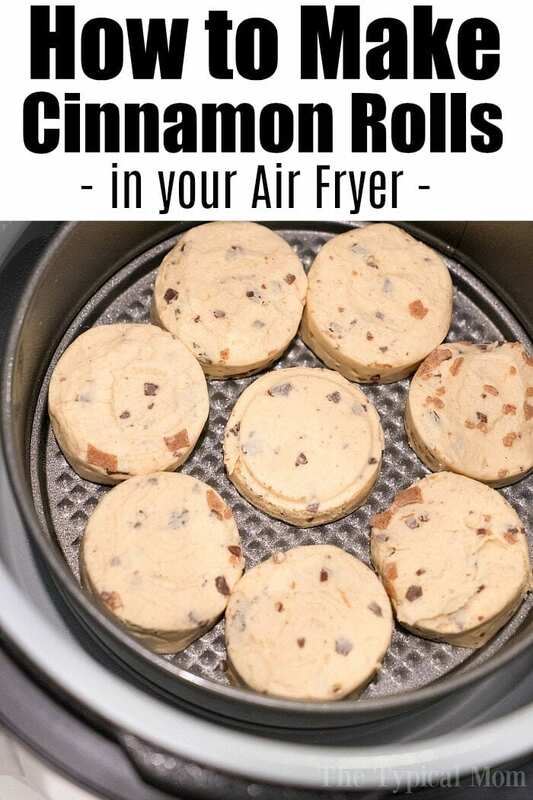 I had never thought about making cinnamon rolls in the air fryer before, but I am so totally hooked now, they turned out amazing!